I am a 25 year old musician and music teacher. I play the violin and sing as well. I currently hold an A Grade (A.I.R. 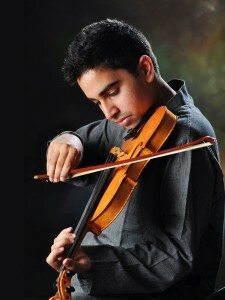 Hyderabad) in Carnatic violin. I am under the tutelage of Padmashri A. Kanyakumari. I’ve been learning ever since I was a child. I enjoy music of all kinds, as long as it evokes some sense of beauty within me. I am constantly trying to play my instrument better. Got any tips? Also, very often I am caught up in thinking about effective and efficient music teaching methods. …that I become a better musician. …that carnatic music performances be carried out with far better acoustic considerations. …that musicians focus more on the heart (as opposed to the intellect) of their music. I love listening to podcasts: Ted Radio Hour, Stuff You should Know, The Diane Rehm Show, This American Life. Ah, so many good shows, so little time! Occasionally, I enjoy self educating myself: We live in amazing times. The world’s best education is right at our fingertips. Coursera, EdX, Khan Academy. The tools for taking free yet structured online courses are numerous. For the nearly complete list, visit the NoExcuseList. I am fairly opinionated but I am a very tolerant person. Live and let live!